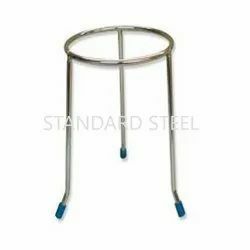 Our range of products include laboratory ring, laboratory ring with boss head clamp, laboratory retort stand, laboratory tripod retort stand, esr stand and laboratory jack. Ring made form mild steel thick rod. Attached with machine pressed MS boss head, able to hold 16mm dia road. Available in 50, 75, 100, 125mm dia ring. Whole instruments made from aluminium die cast material. Attached with alu casted boss head, able to hold 16mm dia road. 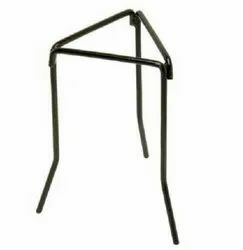 Provided with chrome plated steel rod, and have an allen key for tightening the rod on base. 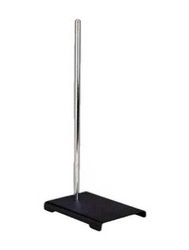 These retort stands are duly powder coated finishing. 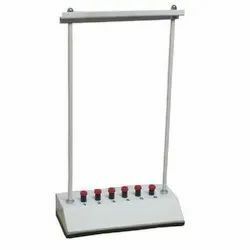 These retort Stand are available in different sizes or as per customer requirement. ESR stand made with thick ms sheet. Unique spring mechanism at bottom permits single hand operation. Available 6, 10 &12 Pipettes. 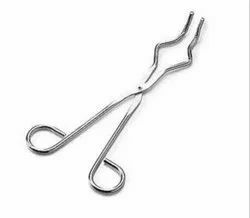 Also available in stainless steel material. 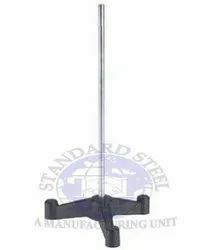 A highly stable Lab jack made from Stainless Steel 304grade material. Top plates are made from thick stainless steel sheet. Manually adjustable height by rotating central knob. 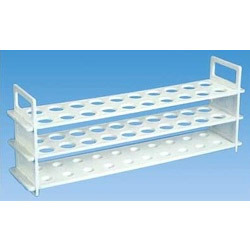 Available: - 150" x 125mm, 200 x 200mm, 250x250mm, 300x300mm. 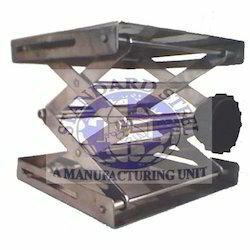 A highly stable and heavy duty retort stand of cast iron, Designed in accordance to international quality standards. 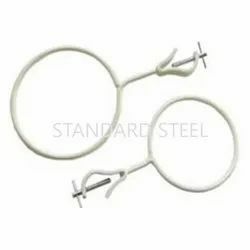 · A stainless steel structure 8mm thick wire. · Joints are nicely argon welded. · Feet are covered with rubber stumps. · Size: - 20H x 12.5Wcm. Flask Tong Made Of Dai Pressed Stainless. 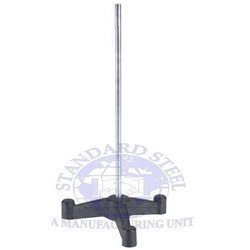 Steel Rod, Front Made Of Stainless Steel. Flask tong’s jaws Covered with Asbestos. 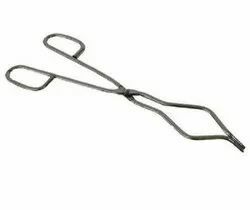 · A stainless steel structure 8mm thick Rod. 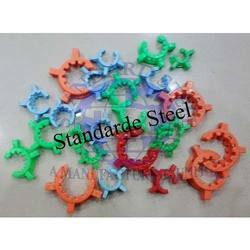 · These clips are made from flexible ABS plastic material. · Produced In different colour. · Available in various size: - B10, B14, B19, B24, B29, B34. Made with heavy duty of Mild Steel sheet. Pre treated and epoxy powder coated finishing. 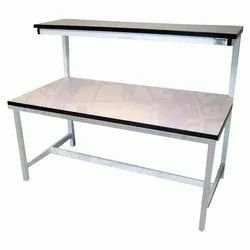 Looking for Laboratory Instrument ?